Clear all jellies and reach 70000 points to complete the level. This level has hard difficulty because it have few blockers that take three moves to break plus some that need two moves and a timer bomb is stuck between. To break all jellies and bomb first you need to break candies near to blocker and try to make a way by just breaking few blockers and then break timer bomb. 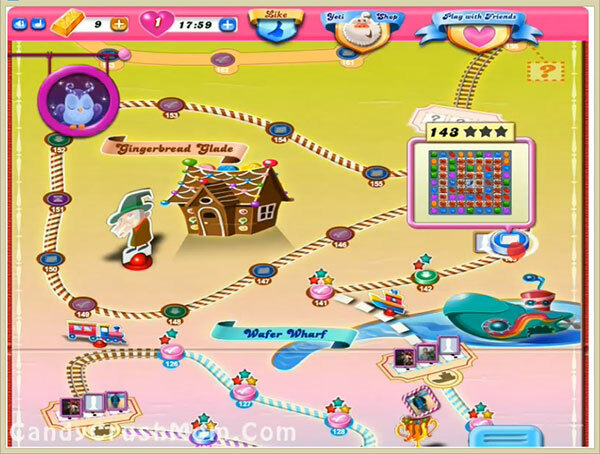 As board get little free then try to make special candies or special combos to break all jellies special combine colorbomb with striped candy to break more jellies in a single move. We completed this level with 248640 by using three colorbomb and same strategy as above within 37 moves and rest three moves converted to bonus fish booster that help to get three star core.